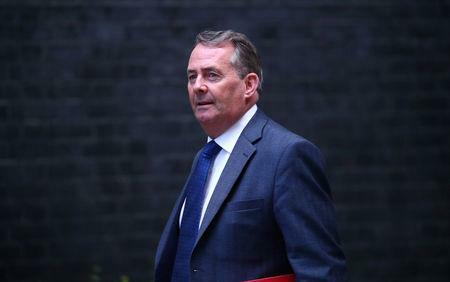 (Reuters) - British trade minister Liam Fox said the UK will need a longer transition period to make a free-trade deal with the European Union, The Times newspaper reported on Wednesday. Fox suggested that Britain may stay in transition for a "few more months" beyond the end of December 2020, the newspaper reported, citing a source. Prime Minister Theresa May is being urged to consider the extension of the transition period to get through the Brexit impasse, the newspaper report added. Britain is due to leave the EU on March 29, 2019. Under May's plan, the whole of the UK would forge a customs "partnership" with the EU after a transition period ends in December 2020 if the backstop is triggered. The Financial Times reported on Tuesday that EU Brexit negotiator Michel Barnier was open to extending Britain's Brexit transition by another year.